In a shocking development for me, I’m at a little bit of a loss for words on this one. 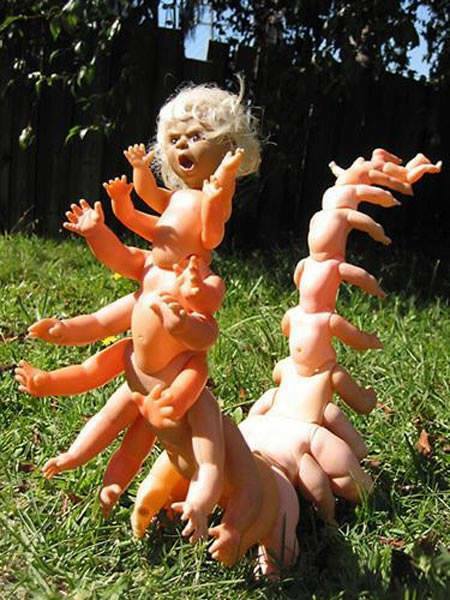 I’m not sure what I like best about this… I love that the dolls are carefully put together in descending order, best for it to take on the appearance of some fearsome segmented creature with many stomachs to satisfy. Though the way it’s curved…it sort of looks like Randall from Monsters, Inc., no? 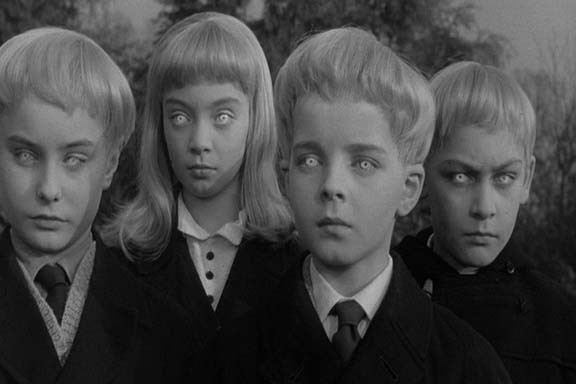 I love that the head doll has weird, platinum-white hair à la the murderous, telepathic space-children from Village of the Damned. And I love that the baby face just looks so goddamned hungry. The “WTF WordPress, really?” suggested tag for this post is “Antiques and Collectibles“. While I can sort of logically determine why this would qualify as a legitimate suggestion, anyone who collects segmented doll carcass-pedes with a hankering for blood…well, that impulse really shouldn’t be legitimized. Photo found at Cthulhu Hand Luke‘s Facebook page, which is a bizarre, often hilarious, freak show full of awesome and I totally recommend that you check it out.